Some of you may have noticed that we don’t always write about every story that goes around. This has to do with erring on the side of carefulness. After so many years blogging about Venezuela you develop a sixth sense for BS. The tales surrounding our country’s collapse are sometimes so ludicrous, you tend to stay away from them until you find further confirmation, or the story dies down. One of the topics that used to seem too far-fetched to believe is the story of how the Venezuelan government is linked to Hezbollah. Well, I’m still not done with Emili Blasco’s book, but all I can say is that I think there are legs to this story. It simply won’t go away. I buy it. Blasco uses Rafael Isea extensively in his book. 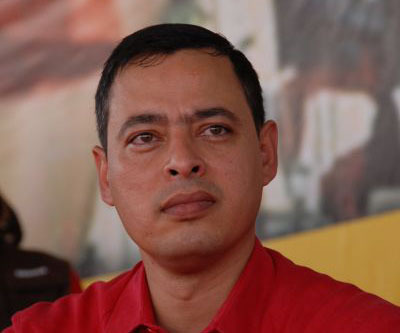 Isea is Chávez’s former comrade-in-arms, his former Minister of Finance, and the former governor of Aragua, a crucially important state if there ever was one. In other words, Isea is no Dubraska Mora. He was uña y curruña. Así de cercanos. Blasco quotes Isea saying that he witnessed a meeting in Damascus where Nicolás Maduro, following orders from Chávez and Mahmoud Ahmadinejad, personally set up a scheme through which 300 Hezbollah operatives would go to Venezuela using Venezuelan passports to trade drugs with the FARC in order to shore up the group’s finances. This is no hearsay – Isea claims he was there. And you know what? I think it’s all true. It all fits – the mystery flights from Caracas to Damascus, the stories of weird Arabs showing up in unexpected places, the ever closer links with Iran, the chavista deputy who went to Syria to fight for Assad, and now this, an eyewitness account from a high-ranking chavista saying that it’s all true. Think about it – how many people would have to be wrong or lying for this story not to be true? Blasco, Isea, and several of the world’s intelligence agencies´and media outlets. Furthermore, we would have to believe that the people saying the truth, and that Venezuela’s government is crystal clear, are folks like Diosdado Cabello or Elías Jaua or Tareck El Aissami. It’s Occam’s Razor, everyone. “Blasco’s book opens with a scene describing an alleged 2007 meeting between Chávez and the high command of the Colombian Marxist guerrilla group, the FARC, deep in rural Venezuela. According to Salazar, Chávez personally concocted a scheme in which the FARC would give the Venezuelan government drugs in exchange for military weaponry and cash. The drugs were to be delivered hidden inside live cattle. The objective of this plot was to weaken the government of Colombia’s then-president — and Chávez nemesis — Álvaro Uribe. Some of our readers might be thinkng “duh!” But personally, the idea that the Venezuelan government is indeed – in its entirety, in its nature – a criminal organization is something I’ve grown into, not something I was ready to accept, say, eighteen months ago. Count me as a Hezboll-iever from now on.